The free shot is the most basic type of shot. It consists of throwing the puck away without the guidance of the rails. Generally speaking, you’re throwing it down the middle and away from the sides. Free shots come in handy when you don’t have a clear shot along the rail. This next one is also referred to as the rail guide shot, riding the rail, or “side-wheeling” depending on which bar you’re in. The finger rail shot uses the rail as a guide for your shot. There are several variations of this shot alone; 3 finger rail shot, 2 finger rail shot, span shot, and thumb shot. The finger rail shot works great when you need to shoot in a straight line as the rail keeps you aligned. You can learn more about the finger rail shot here. The Ol’ Go Around as it’s known as, is a spin shot that applies English to make the puck curve around other pucks on the playing field. This is a bit of an advanced shot that requires the right amount of strength and accuracy coupled with just a touch of spin to get the desired results. If done correctly, you can slide in just behind your opponent’s puck. To apply spin, you need to rotate your thumb and index finger towards your body while you shoot. You can find a full page about the spin shot here. Remember that waxing your table correctly plays a big part in shooting the go around. A hanger is when you shoot the puck with just enough finesse that it reaches the edge of the table without going over the edge. The result is that the puck is partially on the surface of the table while hanging off slightly. Hangers are scored with 4 points so it’s a good way to bump up your score if you can learn to do it right. Now’s the time for defense. The knock off shot is used when you want to displace your opponent’s puck forcibly. It’s really a last resort and more commonly used by the hammer. By knocking off your opponent’s puck, you effectively take away points from them. If you displace two, you can even land a double knock-off! A bump shot is when you throw your puck at one of your own pucks on the table and bump it forward to a higher-scoring position. It’s another technique that can be used to manipulate pucks that are already on the table. This can be a good way to recover from a really bad shot previously and salvage yourself some points. The stick shot is similar to the bump shot in that you’re bumping a puck but it’s the opponent’s puck instead of your own. You’re trying to replace the opponents puck with your own by bumping their puck just enough so that it moves out of the way and your puck stops moving in the same position that their puck was previously in. So we know how to displace an opponent’s puck but how do we protect our own? Say you have a few pucks in scoring position and need to prevent an opponent from knocking off one of your pucks. You can throw a guard shot to get in the way of a direct shot and make it hard for your opponent to take points away from you. Usually you want to shoot a guard shot in the direct line of fire without getting too close to your puck because this makes it easy for your opponent to create a double-knock out. 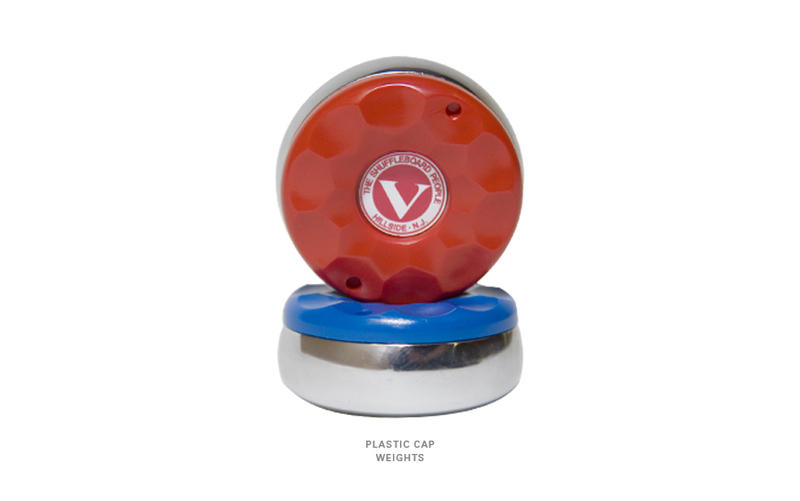 Set of 8 Regulation Size Venture Shuffleboard Weights – $190.00. 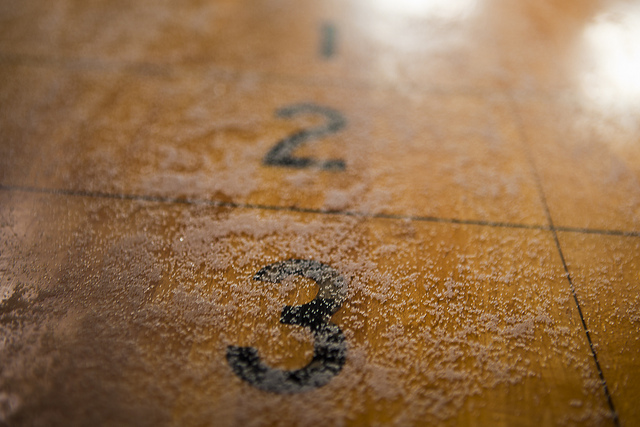 Don’t forget to stop by Shuffleboard.net for all of your shuffleboard tables & accessories!